Fairway woods or 3 iron? 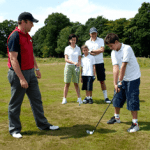 How to become a golf course professional? Max weight of golf ball? The recruiters look at both. However they rely pretty heavy towards the higher quality Junior Tours as in the AJGA and the PGA Junior Series because that is against the competition you will face in college. Continue to play both and I hope you get the scholarship you want and deserve. The distance on any hole as measured as the fairway goes. That is why on some dogleg holes, if you hit it long enough, you drastically reduce the distance of the hole. comments: I want to start collecting public course scorecards. If I wrote a letter to the local courses and asked for scorecards, do you think they will send me them? I would think most would as long as you sent a self addressed, stamped envelop along with your request. comments: I’m wondering what the qualifications for a PGA professional are, and if they are the same in Canada and the U.S.? Also are the qualifications for a club professional the same? If they are can you please give me a listing of what they are. I am unfamiliar with the requirements to become a Canadian PGA member are. 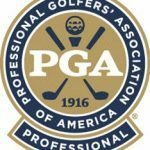 The PGA of America has recently changed the requirements and have become more detailed, involved and stringent in their requirements. 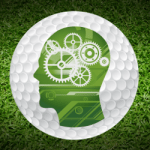 For that information, check out the PGA of America Web site and they also might help you find the information or at least an address for the Canadian PGA. I do know to play TOUR you will have to qualify on your ability through stages of qualifying tournaments. Good Luck with your pursit into the golf business. Your swing plane determines your angle of attack on the ball, your path into the ball and where you contact the ground and how much ground you take. A hard time getting the ball airborne usually means your club is swinging too much around like a baseball swing and not enough up like chopping wood. The proper swing plane is somewhere in between those. It sounds like you need to feel like you are swinging the club more up over your back shoulder coming back and more over your front shoulder coming through. Find the closest PGA Professional to you and take a lesson or two and have him/her show you how to better swing to get the ball airborne. It sounds like something goes wrong in your swing sometimes that makes it hard to hit your woods. The best thing is to find a PGA Professional that teaches close to where you live and go take a lesson or two. In the mean time, if you have a day where it is hard to hit your woods, it is certainly okay to hit your 3 iron because your trying to hit your best shot to play that day. comments: Where can I find some information on becoming a golf course professional? We are studying careers in high school, and I would like to know what the requirements are to become a golf professional at a golf course. comments: Hi, I’ve been playing golf for a few years about 2 seriously, and I have honed my game in pretty well..so that I can shoot in the high 70’s pretty consistently. Here is my problem….I play on the high school team..and I shoot good scored in the practice rounds and rounds for fun..but when I get under pressure like in a tournament…I break down and shoot alot worse than what I know I can shoot…can you tell me some things that will help me deal w/ pressure a little better? Set a game plan (set a strategy how to play the course for the day), concentrate on execution of each shot and let the results happen. Stay focused in the here and now. You can’t change the past holes or shots and you don’t know what the future holds until you have taken care of the present. Try this and let me know how you do at becoming more process oriented and letting go of results. comments: I am having problems hitting my short irons. They seem to go way too high and short. I have tried different ball positions (back, middle and front of stance) but they make no difference. I can’t get good accuracy, distance, or contact with them. Any suggestions? It sounds like you have too much up and down in your swing and not enough around (arc). The wider arc you can swing the handle of the club on, the farther you will hit shots. Work on swinging the club back more with your arms and shoulders and try and see that your front shoulder is behind the ball at the top of your swing while your feet stay firmly planted in the ground. Find a good teaching professional that is a member of the Australian PGA and take a few lessons. Your game will become better quickly with lessons. The best three ways I know of is have a set 1 & 2 and have the others qualify weekly for the other spots. Two, rank the players according to tournaments on a weekly basis and third, set up a ladder according to tournament scores and finishes and have the team challenge up the ladder. A challenge up requires also an opportunity for the player below to challenge. Try some of these. If you know the competition in your tournaments you might also arbitrarily seed according to which of your players play well with or against others. comments: How can I fix my chipping? I can’t get underneath the ball like I want to. Hitting the top of the ball with your chips usually means the club is swinging too close to the ground and too around your body. Work on letting the club get up in the air a little by cocking your wrists slightly as you swing the club back. Try that and also give a friend of mine a call to help you with your game in San Antonio. His name is Jim Barker and he works at Precision Golf off of 410 and Harry Wurzbach. comments: What is the maximum weight for a golf ball? The maximum weight according to the USGA is 1.620 ounces. comments: After winter went by and I could play golf without gloves and a coat on, I was drawing the ball and sometimes hooking it,but the last two times I have played I have sliced the ball and for some reason can’t fix it. Also I have problems on focusing during a bad round or at the beginning of the round. Could you give me some tips? One reason for slicing the ball is that your arms outrun your body. The reason you may have hit it better was that your arms were restricted and therefore your arms, shoulders and wrists were all working together. To fix that slice try and coordinate your arms, shoulders and wrists all together going back in your swing. I highly recommend you to a friend of mine, Mike Lathrop, PGA Head Professional at Hillwood Country Club in Nashville. He is an excellent teacher and I know he will be able to fix that slice! Give him a call. comments: Dear Scott , I was wondering if you would have any knowledge of companys in the United States that would be interested is sponsoring myself . I am beginning my journey into the great golf industy at the San Diego Golf Academy . I belive that upon graduation I could prove to a great asset to a company . If a company puts their faith in me , I would certainly put forth my full effort trying to advertise their products . Thank you for your time . The best advice I can give you is twofold. First work hard on your game, win tournaments, and qualify for TOUR after you graduate the Academy. Secondly, get an agent and let the agent work on the endorsements while you concentrate on your game and playing. Cornerstone Sports in Dallas and International Management Group (IMG) out of Cleveland (?) Ohio are two of the biggest. Good Luck with your career. If I can ever help you any other way, let me know. comments: I’m a left handed player How much flex should I have in my left arm at address? Your left arm should be relaxed, hanging straight down from your chest and slightly bent. Your left shoulder should be slightly lower than your right shoulder, equaling the drop that your left hand is lower on the shaft than your right. comments: I usually score in the 70’s,but I’m a really por striker of the ball my scores are not bad but my ball striking is,I could score so much better if I would improve my ball striking,since I almost never hit greens in regulation (about 2-3 per round) I have a pretty nice short game,if I could combine better ball striking with my short game,I’m sure I would be a much better palyer. PD:please excuse any grammaticall error in my message,english is not my first language. Your English is very acceptable. To improve your ball striking concentrate on bring the shaft of the club back to impact at the same angle it was at address. To do that be sure your arms stay in front of your body throughout the swing. Be sure as you take the club back that your right elbow bends in an “L” position and does not drift behind your rib cage. On the way down, concentrate on hitting the back of the ball and the part of the ball closer to you. We call that the inside of the ball. Work on these first few simple tips and let me know how it goes. Also, good luck on finding a good Professional to help you with your swing in Venezuela. comments: Do they have a junior PGA in North Dakota? If they do send me info on it. What is the best course to golf on in nd. I am not familiar with North Dakota courses or Junior Programs. However check with PGA Pro David Kingsrud at Edgewood Muni Golf Course to get more information on the tournaments.